If you haven’t still understood the need of having a mobile responsive website, then you may have to read through this. 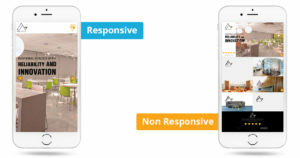 Google has now started recognizing and ranking those websites that are mobile responsive. The reason for this is because over 80% of the population browse through a mobile phone. When it comes to search algorithm of Google, it takes into consideration the “mobile friendliness” feature of websites after which it ranks the websites. This simply means that the websites that are not optimized to various screen sizes particularly mobile screens can see themselves being downgraded by Google. This search update was released in April 2015 on their Webmaster Central Blog. Back then a survey was conducted and it was found that almost 40% of the Fortune 500 companies would be a victim to this. The results of the survey were published and it revealed that 52% of the companies had friendly websites when compared to 44% of not friendly. The rest 4% did not even respond to the survey conducted. Probably because they didn’t have a website. Now, what actually does Google mean by having a mobile-friendly website? 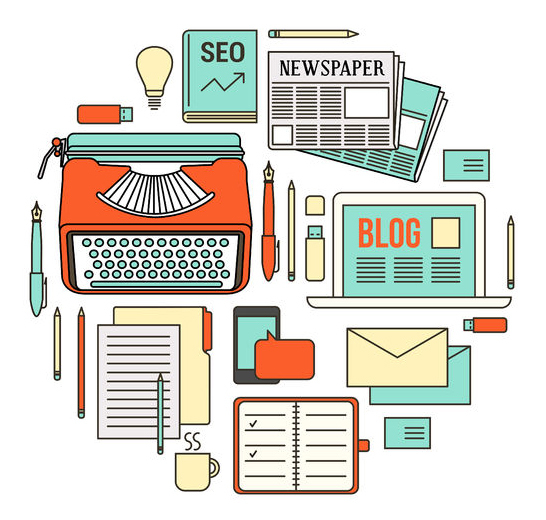 On the blog by Google, it clearly explains that in order for a website to be considered mobile-friendly, the texts on the websites have to be readable without being tapped or zoomed. Tap targets have to be spaced appropriately and most of all the pages should avoid unplayable content or horizontal scrolling. The company has also clarified that this search update would only affect the site’s ranking when searched on through mobile devices. So when someone searches something through a phone, Google would recognize the relevant and quality sites that are mobile friendly. This update is made to all the languages in the world, not just English. It does not affect the entire website as a whole, but this search update feature is applied to individual pages. Also, this feature is mobile exclusive. It’s surprising that many top brands in the world are still reluctant to shift to mobile-friendly websites. But apparently, they cannot push on for more years with the same old-fashioned websites because by 2019 it is estimated that the number of mobile phone users would cross the 5 Billion mark. In more simpler words, if you need more business, then it’s time that you update your website and have a mobile friendly one. This shift of consumers to use mobile phones has impacted all businesses across the world including Google. Being the most popular search engine Google has to anticipate the amount of traffic it receives every second. Customized Ads have to be promoted to the right customers at the right time, only then will the advertisers benefit. Consumers around the world are more comfortable to interact with content on mobile more than Laptop or Desktop. Also, Google has brought this update not just to make the web searchers happier rather they have had more competition from platforms like Facebook and other Social Media apps over the years. So, to retain the mobile ad market share it had to bring such an update which is a mutual benefit for Google and for the mobile web searchers. The advantages of having a mobile-friendly website aren’t just good for Google and consumers – they are much better for site owners. Eventually, when consumers start searching through their phone, they are redirected to the right site by which they are open to access the information and the contents on it. The number of visitors through the phone is increasing day by day and this significantly contributes to the traffic gained on each website. Thereafter, revenue of the site owners is increased if these visitors tend to convert into customers. If you have a website which is not mobile friendly, then you might have to rethink to redesign the website. Read more about the 5 Reasons why design matters for customers & Google and 6 ways to grab the attention of the visitors on your website.